Varanasi is a culturally important Indian city in the northern state of Uttar Pradesh. It's situated on the Ganges River, India's most important waterway. Varanasi is considered the holiest of the seven cities deemed sacred under the Hindu religion and is also important in the Jain Dharma religion. 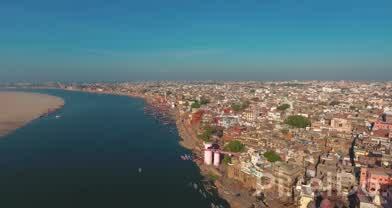 Contributor Pixeldo.com created this amazing drone video of the river city, which is the site of two large temples built during the time of the Mughal Empire.